Justin Ohlsen’s work is as beautiful as it is subtle. 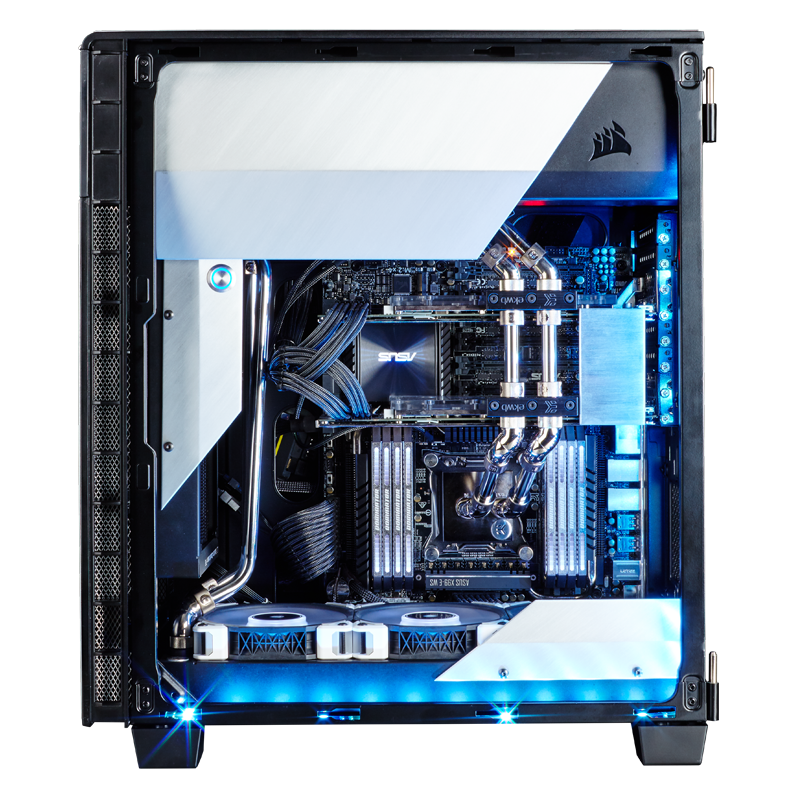 Not only is it a full custom liquid cooling loop with chrome hardline tubing, he’s replaced all the steel exterior panels with silver brushed aluminum, and even integrated that look inside with interior brushed aluminum panels and an internal anti-vandal power button. This build is fast as it is beautiful and shows off the skill of an experienced modder with real vision.